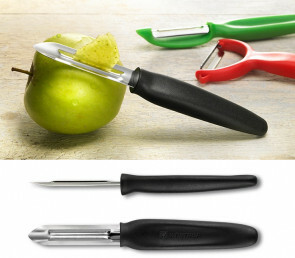 There are five essential tools to choose from: a knife to peel, two different paring knife, a universal knife, and a pizza and steak knife. 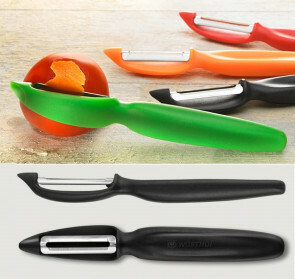 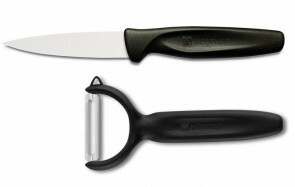 Blades in five different shapes (with or without corrugated blade) with handle in four colors All blades are made of stainless steel, special for blades. 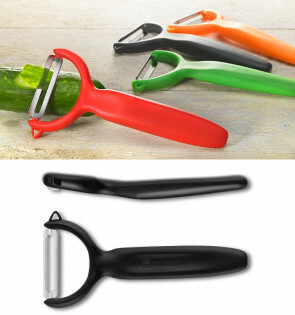 The handle with a dynamic shape is ergonomic and functional, for a pleasant use. 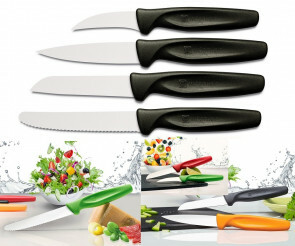 These kitchen knives are practical, hygienic, dishwasher-safe and therefore ideal for everyday and long-lasting use in the kitchen.